Ralph Rousseau Meulenbroeks: Virtuoso viola da gamba. Ralph Meulenbroeks showed his prodigious musical talent at an early age, playing the piano and bass guitar at the age of eight. He later combined his double bass and gamba studies with a masters and Ph.D. in physics. Meulenbroeks played double bass in the Royal Concertgebouw Orchestra in Amsterdam and gave many recitals and solo concerts in the Netherlands and abroad, including numerous radio and television performances. He also still managed to find time to play in rock, jazz, and pop bands. From 1995 onwards, Ralph Meulenbroeks has specialised in performing early music, studying viola da gamba with Jaap ter Linden. He is now an esteemed soloist in works such as the passions, sonatas, and cantatas of J.S. 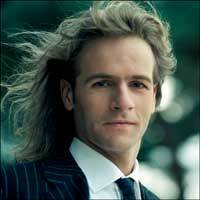 Bach, and has released several CDs. His previous CD, Voix Humaines with music for viola da gamba solo was proclaimed "a true monument for the art of gamba playing" in the Dutch press. Ralph Meulenbroeks played in the Fringe of the Early Music Festival in Utrecht (from 2000 to 2002), in the Early Music Network (2003 and 2004), and his solo recitals have taken him throughout Europe, United States, and China. On Moved by Marais, Meulenbroeks plays a six string viola da gamba by Georg Aman (Augsburg), early 18th century on the G minor and G major suites, and a seven string viola da gamba after Michel Colichon (1693) by Reinhard Ossenbrunner (2003) on all other tracks. Meulenbroeks is joined by Pieter-Jan Belder, conductor of Musica Amphion and a gifted player of the harpsichord, clavichord, organ, forte-piano, and recorder. He is also joined by Remy Baudet, principal violinist of the Orchestra of the 18th Century, Musica Amphion, ensemble Le Zephyre, and the Van Swieten Society. 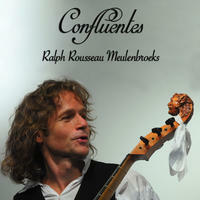 Ralph Rousseau Meulenbroeks lives in Amsterdam, Netherlands. Tagged as: Sports football betting appClassical, Baroque, Renaissance, Instrumental, Composer: Antoine Forqueray, Composer: Carl Friedrich Abel, Composer: Diego Ortiz, Composer: Johannes Schenck, Composer: Louis de Caix d'Hervelois, Composer: Marin Marais, Composer: Tobias Hume, Viola da Gamba.